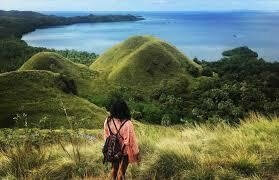 The first place to visit, situated at mountainside of Mount Mbeliling it is an ideal place to can enjoy a spectacular view over to the Komodo National Park, to see chain of small islands with blue sea surrounding them. 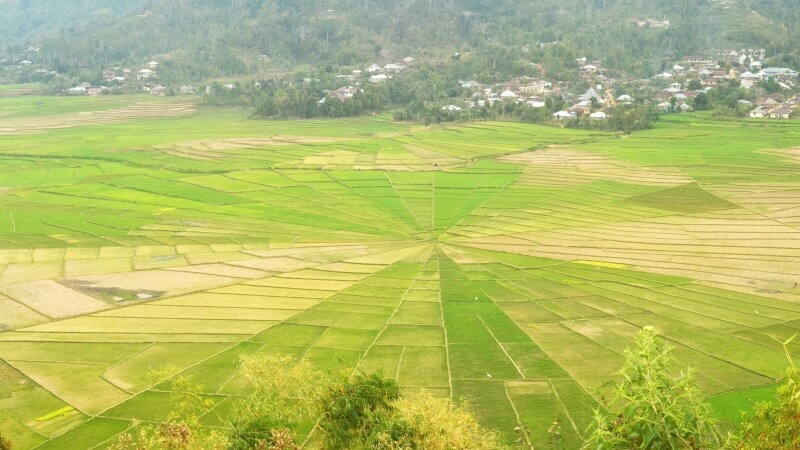 A small village with famous for their round, spider-web ricefield structure, these pieces of land are unique eye-catchers in Manggarai.This spider web rice field is a customary tradition Manggarai Regency society in terms of the distribution of paddy fields. 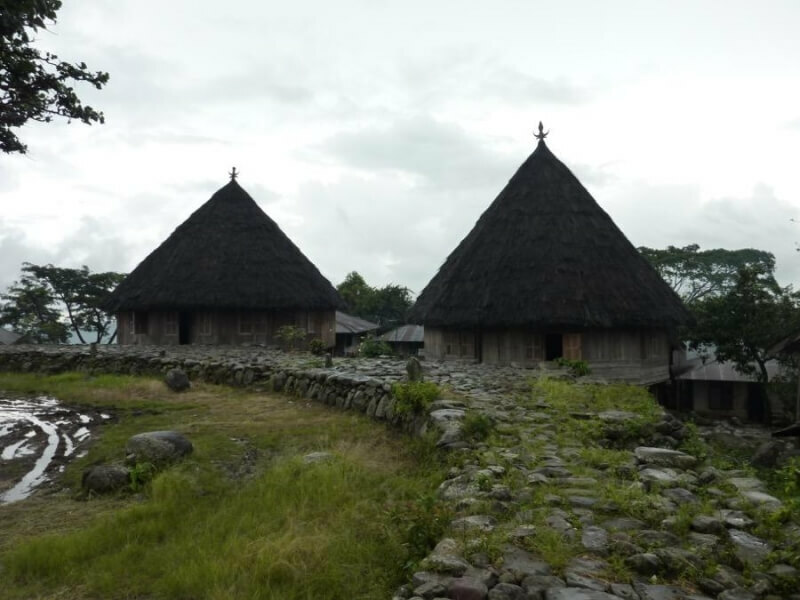 One of the most popular places to see the traditional compang, a round, stone platform surrounded by a circle of stones and traditional houses. 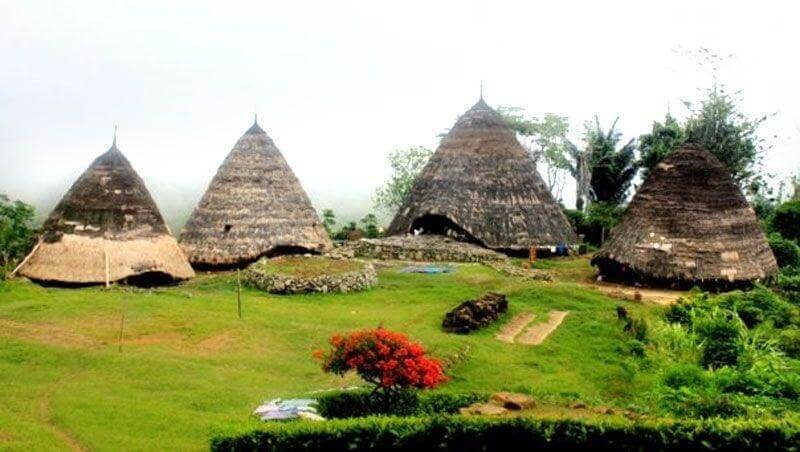 The compang is the center of traditional ceremonies and rituals for the people. 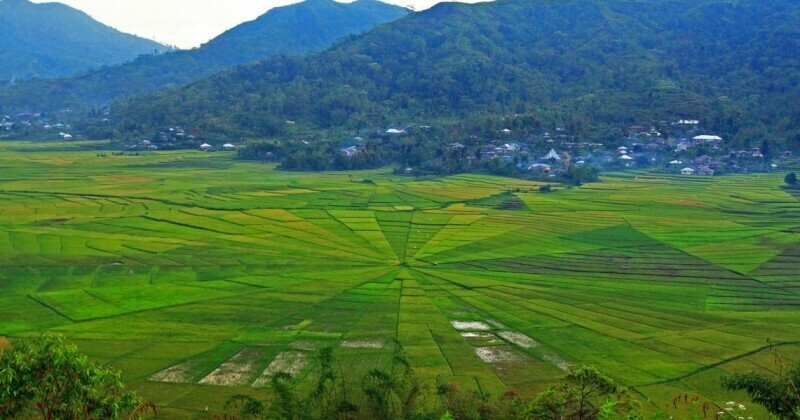 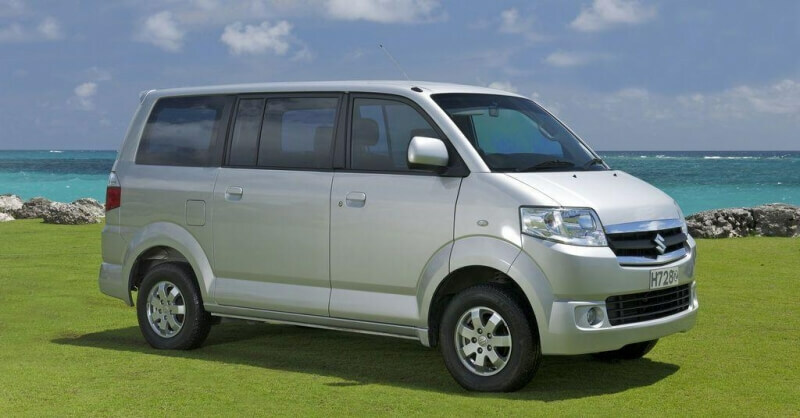 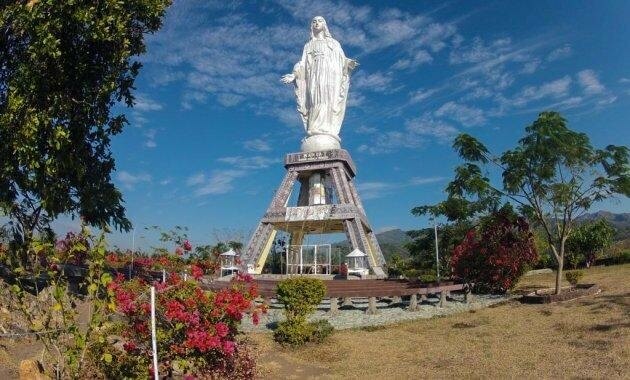 This hill is the best spot to enjoy an all around 360° view of the city of Ruteng and spectacular early morning view of the hills, rice fields, and mountain valleys. 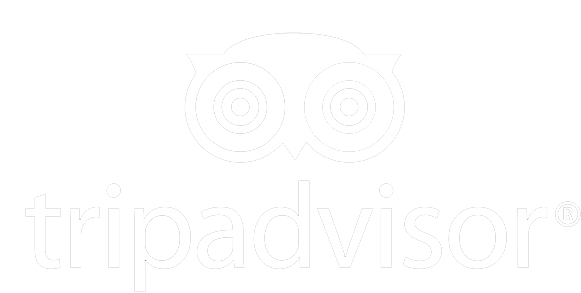 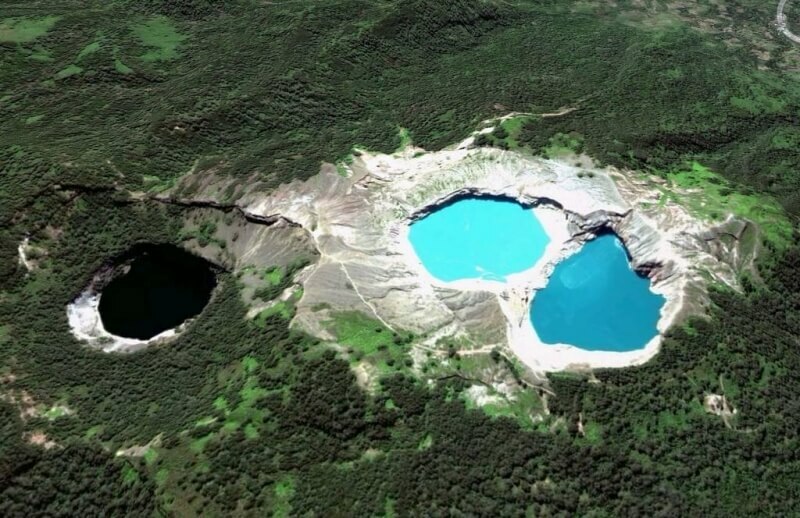 A mountainous natural reserve, with impresses dense forests and wonderful scenery of a 21-meter-deep crater lake. 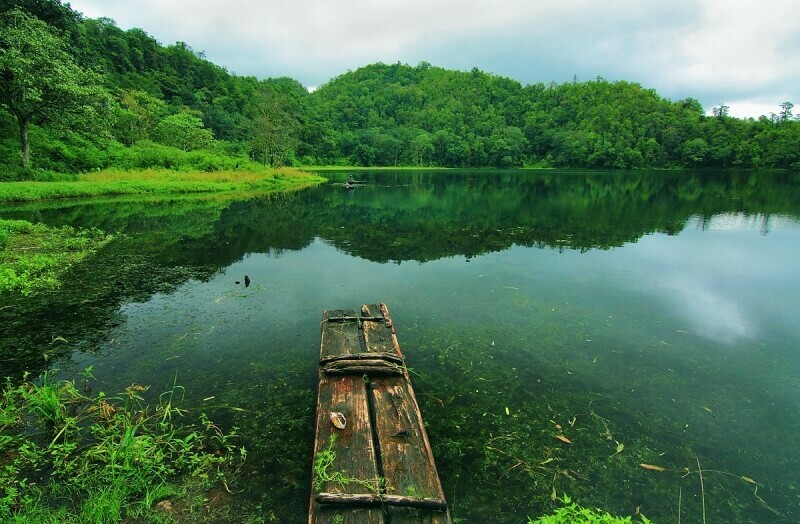 At an altitude of 1220 meter above sea level, this small lake is a pleasant picnic spot with it natural surrounding jungle clad hills. 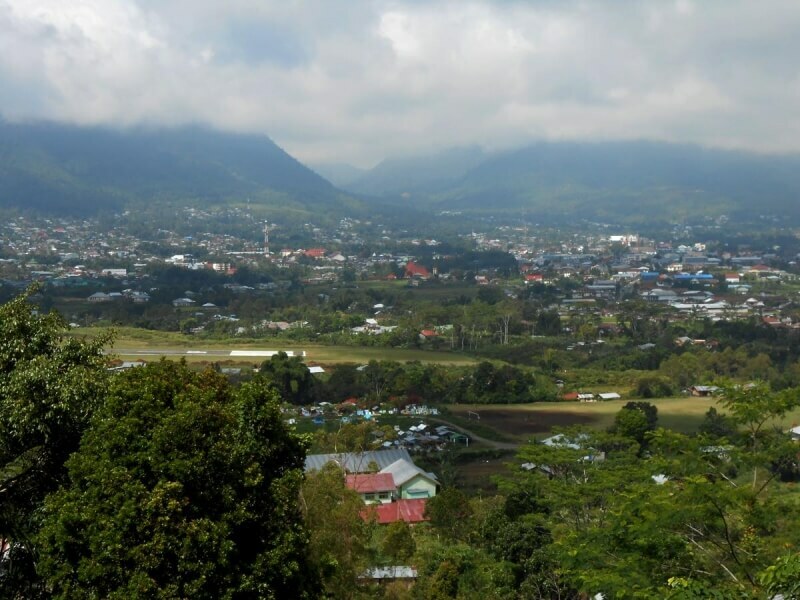 Known as the producer of the traditional wine Flores, or commonly known as "Sopi" or " moke ". 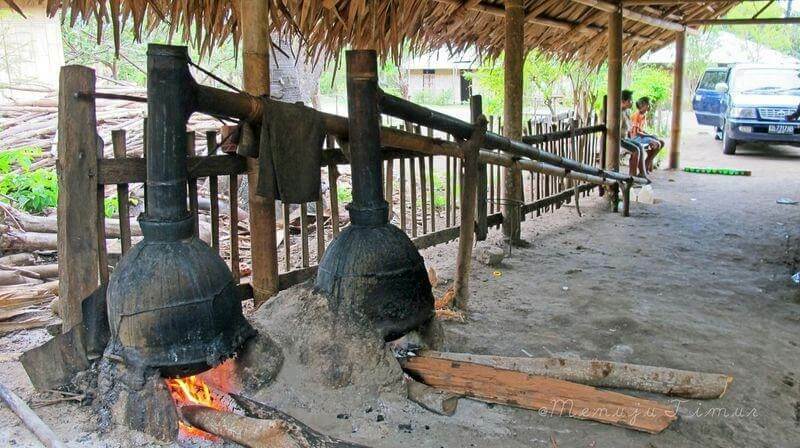 The drink is made by the distillation of local palm wine. 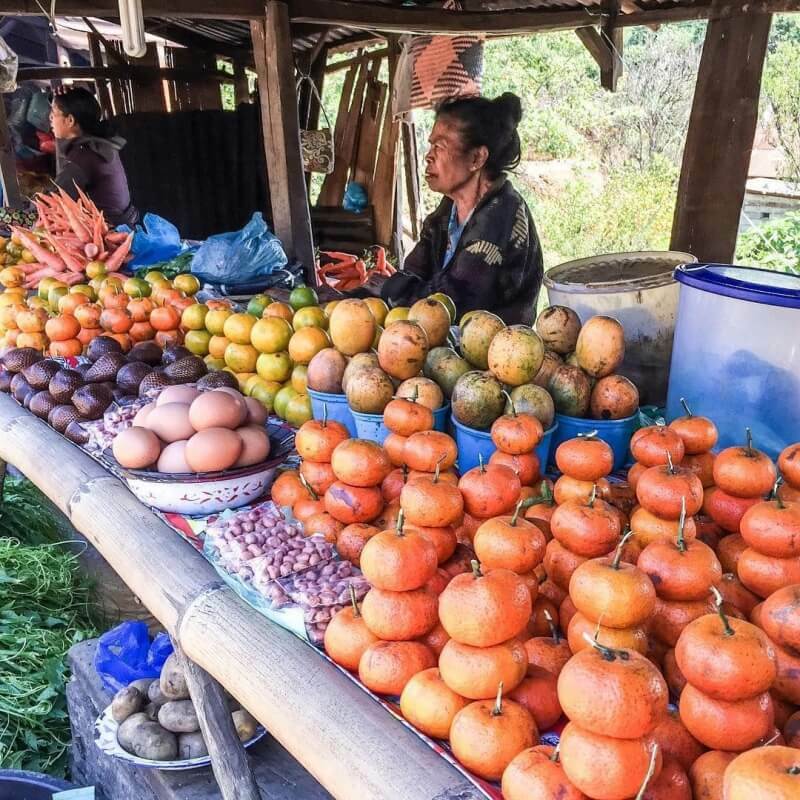 Get a taste or see how this unique delicasy is made in traditional ways. 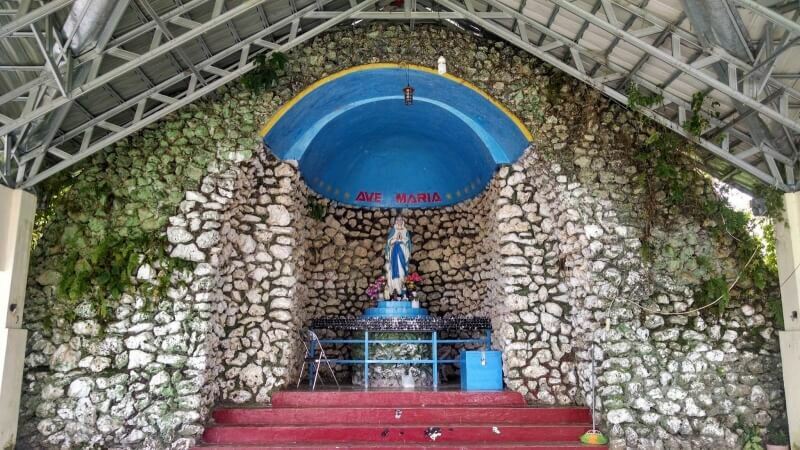 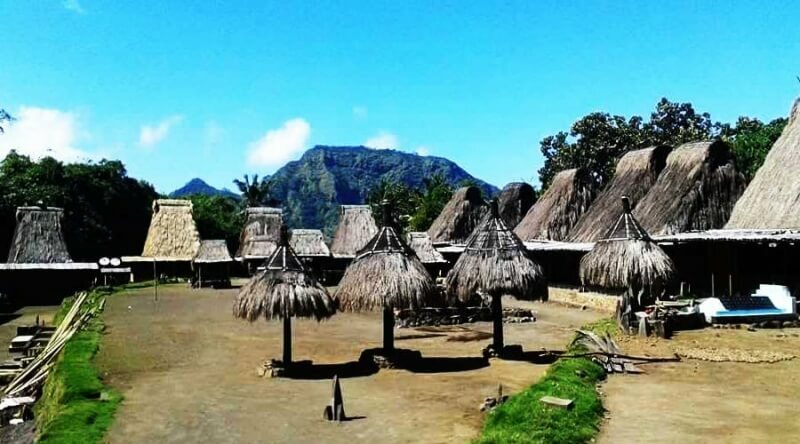 The splendor of the Stone Age of Cultural Heritage in Flores, a traditional vilaage at the foot of Mount Inerie. 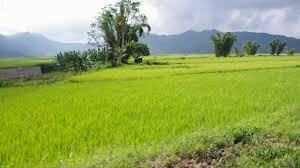 It is the most famous and also most visited village in the Ngada district. 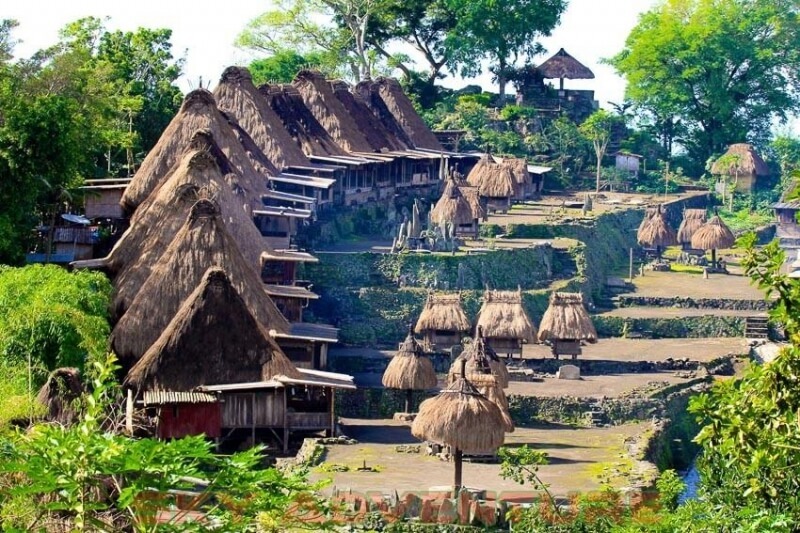 With its impressive stone formations and ancestral shrines, as well as traditional houses. 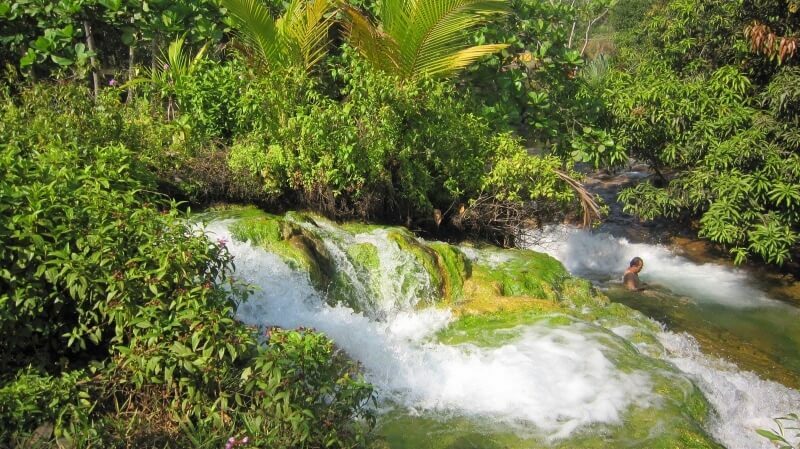 The spring water is believed to have curative effect for those suffering from skin conditions. 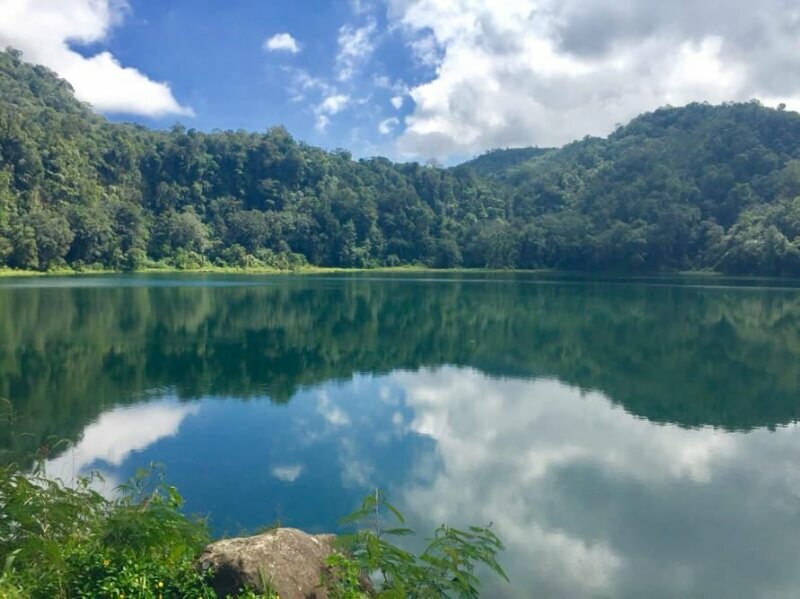 Howsoever, the experience of taking a warm, soothing bath in a beautiful, natural atmosphere is definitely a true delight for your body and soul. 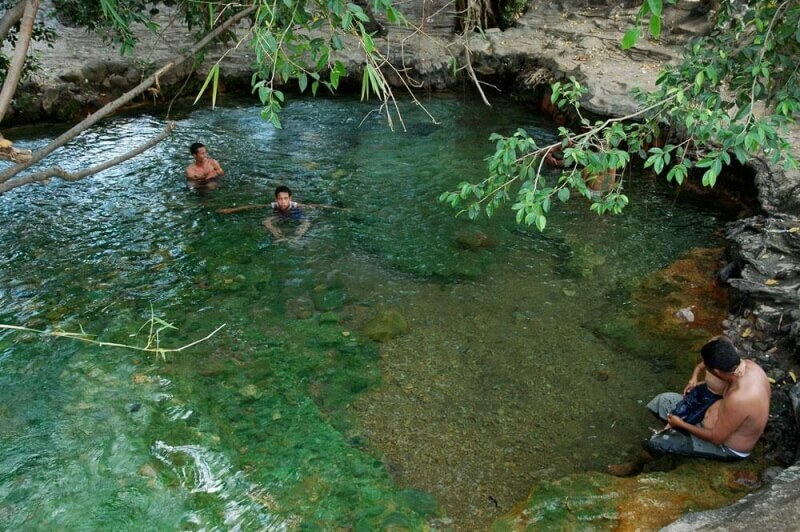 Located in the southern coast of Flores Island, it very natural with no beach resorts or villas. 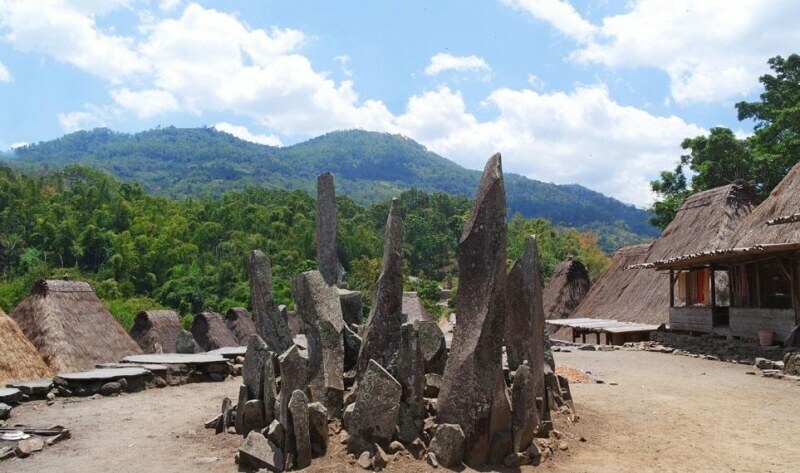 The beach lies just beside the main road of Ende-Bajawa and coverd beautufuly with blue stone. 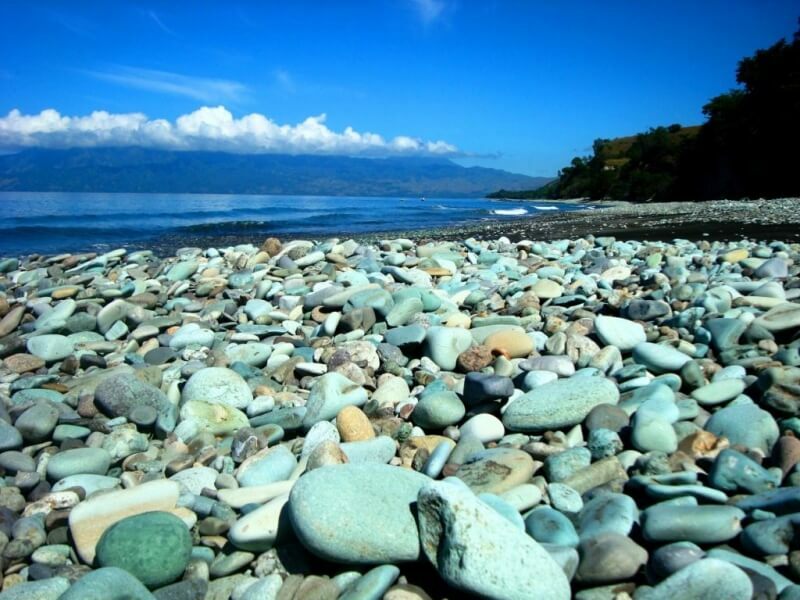 Almost entire beach is covered by turquoise stones polished by the sea. 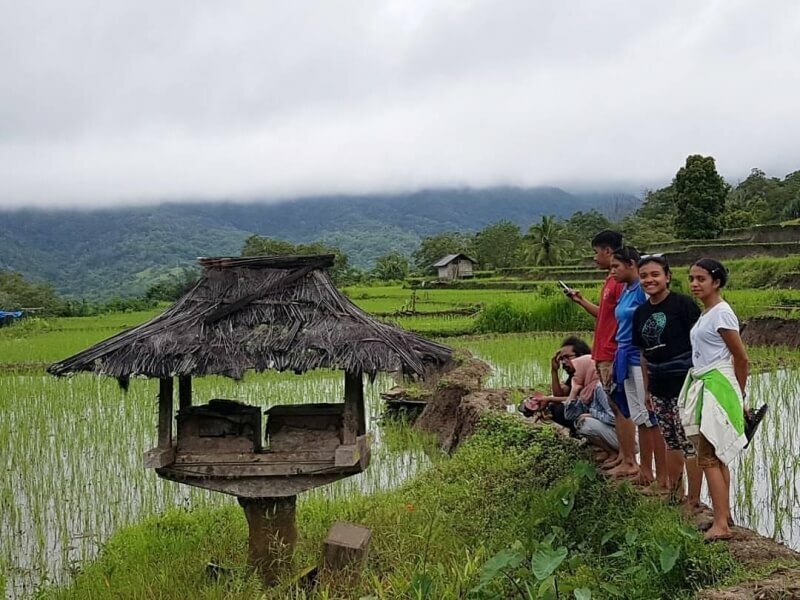 A village in a valley blanketed with rice fields, located halfway between Ende and Moni is a misty, cool hill town with amazing ricefield scenery. 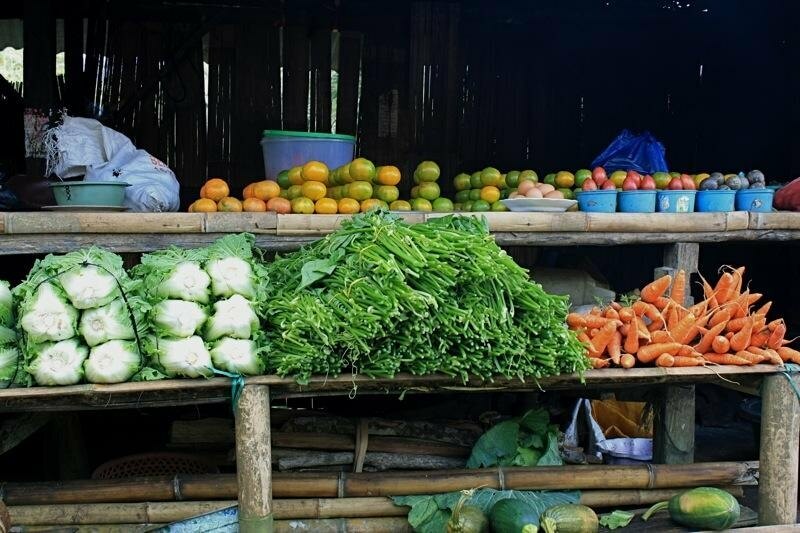 Take a visit to a traditional fruit and vegetable market all freshly pick from the local farms. 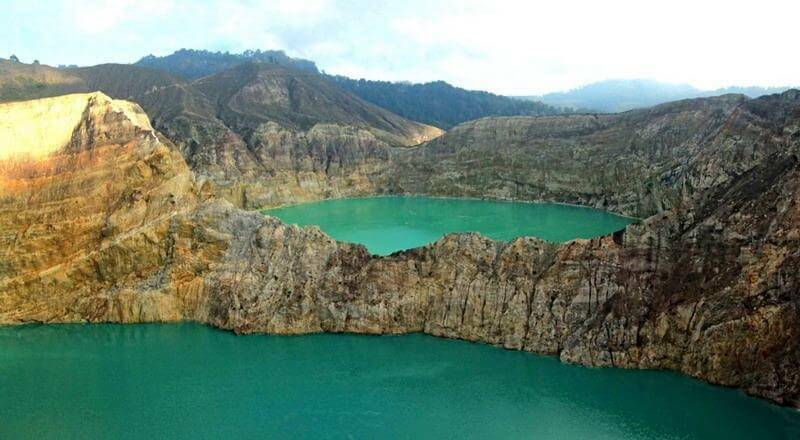 Mount Kelimutu, with its three colored crater lakes, is probably the most amazing natural phenomenon in Flores. 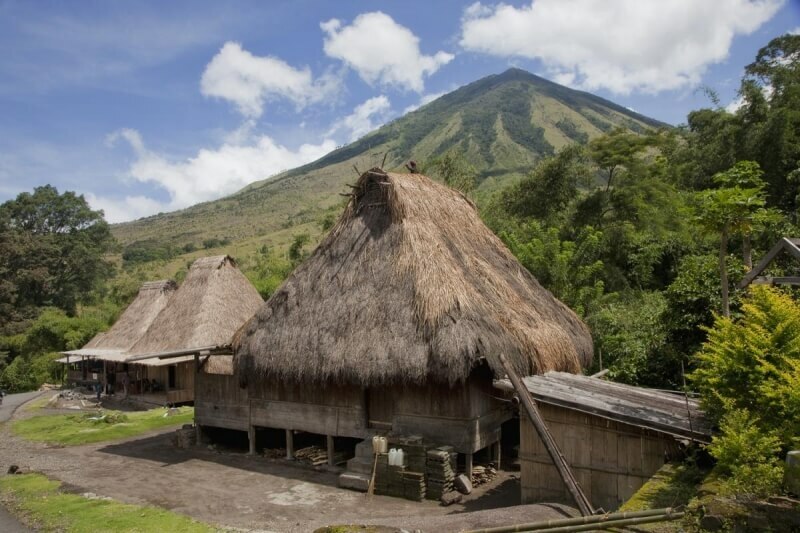 Together with the Komodo Dragon, it had become an icon to the flores tourism. 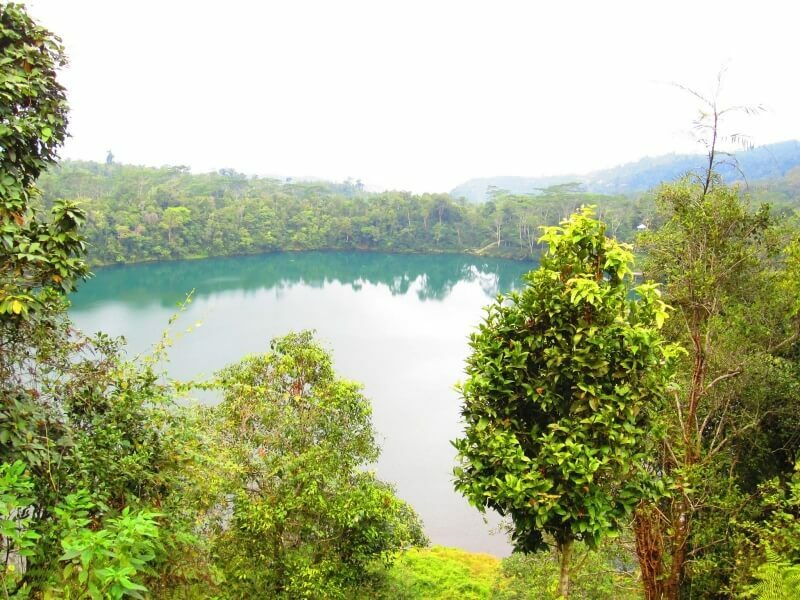 There are local named designated to each lakes ; Tiwu ata Mbupu (Lake of Old People) which is usually blue and on the westernmost of the three lakes. 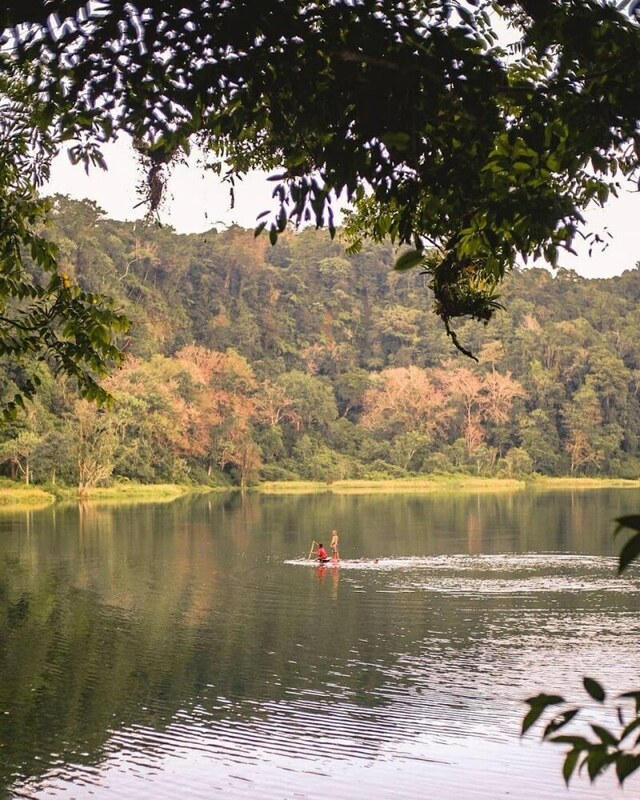 The other two lakes are Tiwu Nuwa Muri Koo Fai (Lake of Young Men and Maidens) for the green colored lakes and Tiwu Ata Polo (Bewitched or Enchanted Lake) for the red colored lakes and only separated by a crater wall. 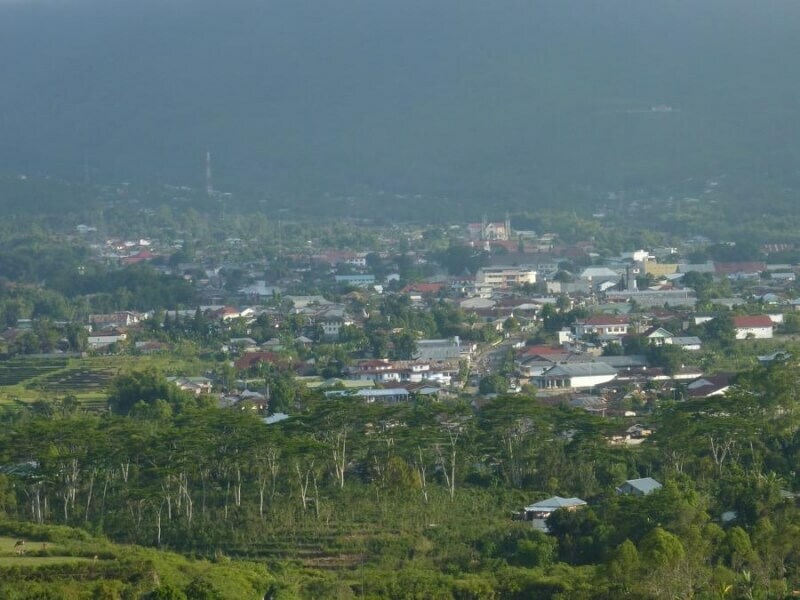 Early morning start to climb the volcano. 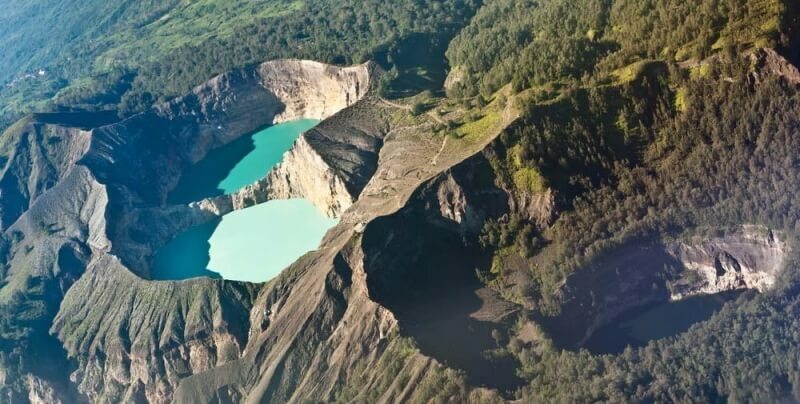 Enjoy the beautiful scenery of sun rise and three Color Lake from the bank of the crater. 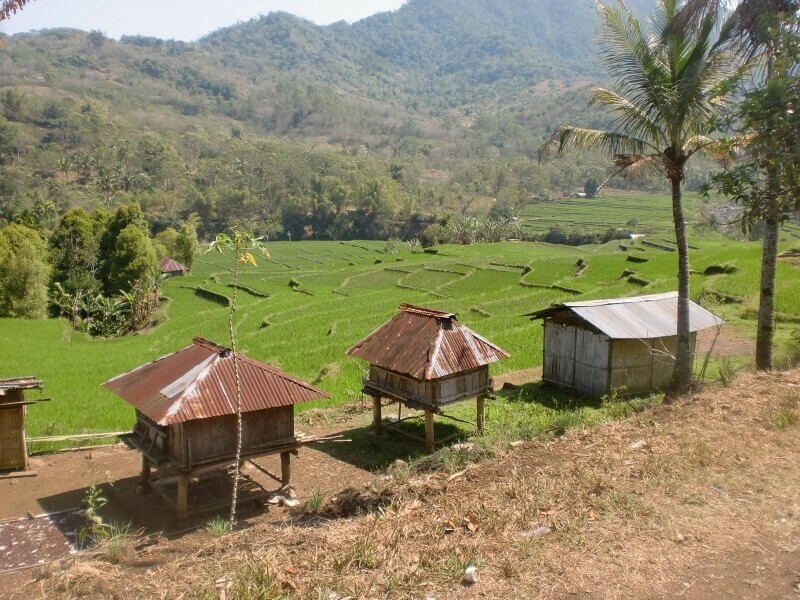 a small village as known to the a centre of ikat weaving, a traditional flores handweaving. 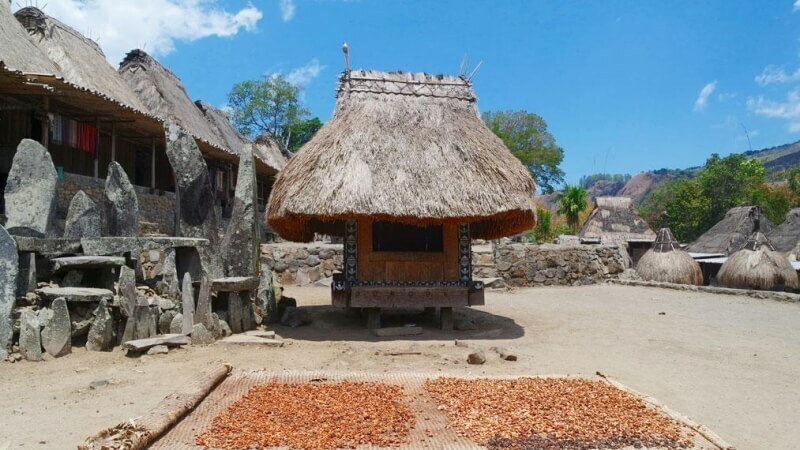 What makes Wolowaru different from any other tourism sights in flores,is its function as a center of organic cashew nut processing. 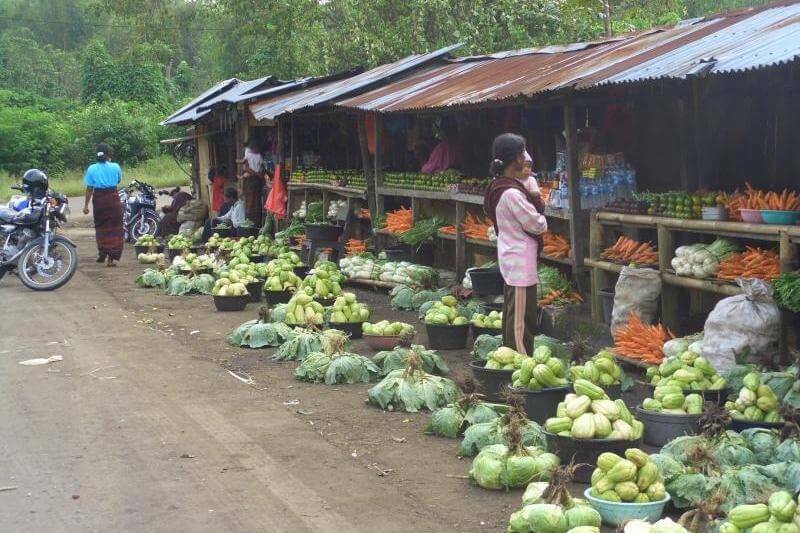 Explore the facilities and follow the complex process of the cashew nut or event take it as a gift from flores. 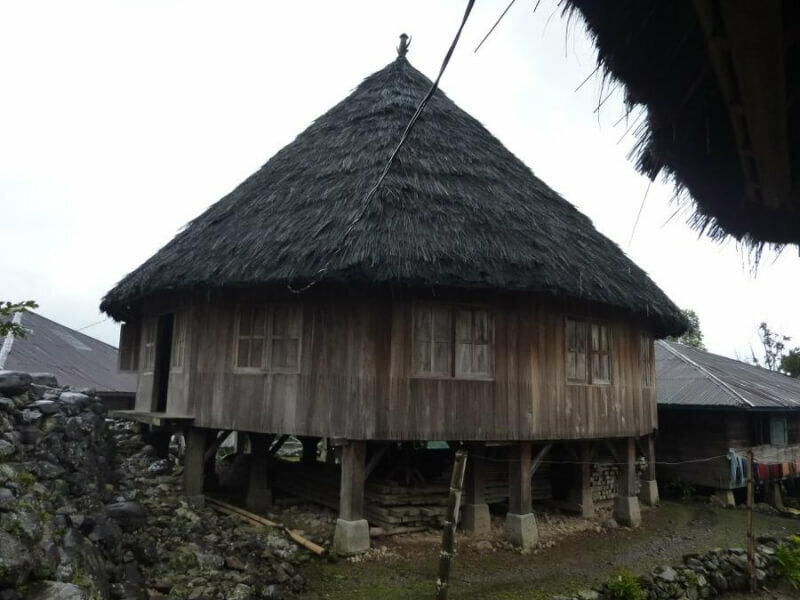 Also take a visit a near by traditional village.